I want to plant milkweed to help Monarch Butterflies survive, but I’m confused by all the many types. Which one is best for my part of the country? Also, I have read that Tropical Milkweed causes problems for Monarchs, but I notice that you sell it. When is it a good choice? I’ll do my best to answer your questions as briefly as possible, but I’m sure you understand that this is a complex topic. 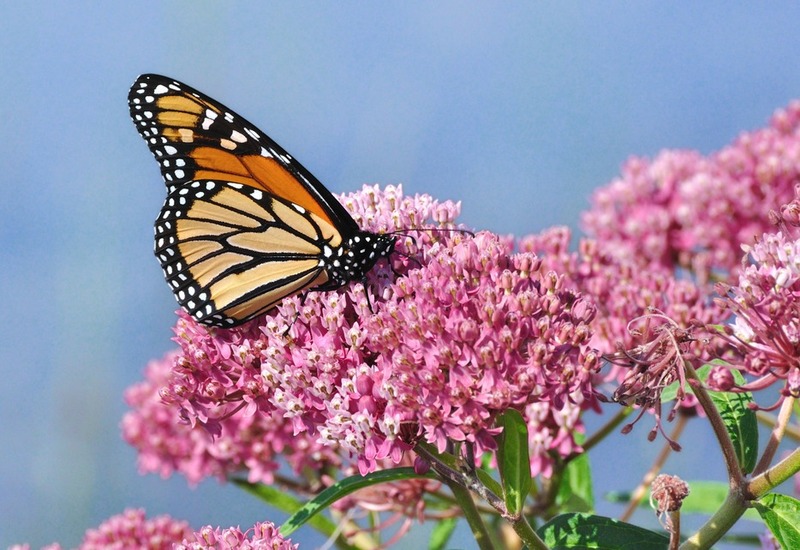 Flowers by the Sea Farm and Online Nursery helps gardeners nationwide to increase milkweed habitat, which Monarch Butterflies need as host plants for their caterpillars and for nectar. Milkweed no longer flourishes in agricultural fields and along roadsides. Its decline is primarily due to decreased habitat (less family farms and rural lands) and increased corporate farm use of herbicides tolerated by crops but deadly to weeds such as milkweed (Asclepias spp.). When selecting milkweed for your garden, the general rule of thumb is to choose one or more types native to your region. Native plants tend to do the best job of attracting and sustaining local pollinators. For example, America has many kinds of native milkweeds, and three main routes that Monarch Butterflies follow: the West Coast, Midwest, and East Coast flyways. What tempts Monarchs in one area may not tempt them in another. At FBTS, we grow a number of milkweeds native to America. 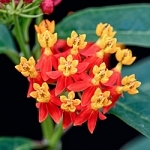 We also grow Tropical Milkweed (A. curassavica) which is native to South America and is the only milkweed that grows well in containers. Hang with me, and I will explain our reasons for selling it in a bit. I can understand why you would be confused about what milkweed to grow, because the U.S. Department of Agriculture identifies 20 native species in Florida alone. Yet Tropical Milkweeds are the kinds prevalent in garden centers, because they are easy to grow and thrive both in ground and in containers. Few native species are sold in nurseries and, when they are available, quantities are limited. This is largely due to most native milkweeds being difficult and time consuming to propagate. Also, they aren’t all pretty plants that people like to see in flowerbeds. But you may be more concerned with the effectiveness than the looks of your milkweed garden. It takes persistence for gardeners anywhere in the U.S. to obtain and grow seed for milkweeds native to their states. 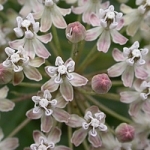 One of the best resources for locating suppliers is the Milkweed Seed Finder of the Xerces Society for Invertebrate Conservation. It allows you to filter search results by state and by species. For example, those who live in the Midwest and want to plant the gloriously purple-flowered Prairie Milkweed (A. sullivanti) can find seed sources in Iowa, Indiana, Kansas, Minnesota, Nebraska, and Wisconsin. Botanical gardens, conservation organizations, and native plant societies sometimes hold events to teach about collecting and planting milkweed seed. So, it’s a good idea to brainstorm about potential local resources when cultivating your Monarch garden. For many kinds of information and support concerning milkweed and Monarchs, we recommend Monarch Joint Venture. MJV networks with partners from many governmental, non-governmental, and academic organizations interested in supporting Monarch migration and health. Another excellent resource is the Monarch Watch Milkweed Market, which sells flats of milkweed plugs based on what is native to your region and available. In 2014, FBTS received certification as a Monarch Waystation through this advocacy organization. If you are intent on supporting Monarchs in your home garden, the easiest way to grow native milkweeds is to buy plants. Two Florida natives available from FBTS are Butterfly Weed (A. tuberosa) and Swamp Milkweed (A. incarnata ‘Cinderella’). 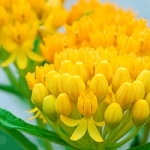 Butterfly Weed is drought resistant and has orange and gold star-shaped flowers or bright yellow blossoms in the case of the A. tuberosa ‘Hello Yellow’. In contrast, Swamp Milkweed has pink blossoms, and the Cinderella variety is intensely rosy. The USDA plant profile “subordinate taxa” maps for these species show that they are native to many parts of the U.S. Both are favorites for our customers throughout the South. Although A. tuberosa is also native to California, A. incarnata isn’t. That doesn’t mean Californians can’t try growing Swamp Milkweed, but gardeners here are likelier to have success with Butterfly Weed or the super drought-resistant Indian Milkweed (A. eriocarpa), which is only native to California. For gardeners who live in the Mountain West or the Midwest, we probably would suggest Butterfly Weed or Showy Milkweed (A. speciosa). However, Showy Milkweed sometimes is in short supply due to difficult propagation. All FBTS plants are well-developed transplants versus tiny plugs. Don't be disappointed if your plants get a slow start in their first seasons. Whether growing native milkweeds from plants or seeds, the good news is that once well-established, most spread easily by underground tubers. Depending on your viewpoint, this may also be bad news, because you need to plant milkweeds where their tenacious expansion won’t be a problem. Some gardeners prefer Tropical Milkweeds because they don’t have tubers. However, similar to native species, seed from their pods can blow to other locations and naturalize. This is a good point at which to get back to your concerns about Tropical Milkweed, which presents benefits and problems for Monarchs. Butterflies and bees love these lush, colorful, long flowering plants. At FBTS, we grow three varieties -- Apollo Orange, Silky Gold, and Silky Red -- partly because it is difficult for gardeners to obtain native milkweeds in some areas. Also, Tropical Milkweed is adaptable and even does well as an annual in cold winter climates where it dies to ground come autumn. However, in temperate areas with subtropical winter temperatures, Tropical Milkweed may stay green and continue blooming through winter. This causes some Monarchs to stay put in these areas, such as in Florida, Southern California, and South Texas, instead of completing autumn migration to Mexico. What is particularly dangerous about migratory disruption is that it results in an excess build up of a parasite called Ophryocystis elektroscirrha (OE) on Tropical Milkweed foliage. Butterflies already infected with OE increase deposits. Others that are uninfected but linger where the plants are evergreen, are likely to become infected with this health-weakening pest the longer they are exposed. Infected or not, any Monarchs that lay eggs on Tropical Milkweeds heavily populated by OE pass the problem on to the next generation, which ingests the parasites when eating the foliage. This is why WE EMPHASIZE THAT GARDENERS IN WARM WINTER AREAS SHOULD CUT BACK TROPICAL MILKWEED FOLIAGE IN AUTUMN AND WINTER. We know that our customers tend to be responsible people who pay attention to information about how to help pollinators and beneficial insects thrive. Consequently, we think Tropical Milkweed is a reasonable choice for (1) gardeners who live in an area within one of the Monarch flyways where it is difficult to obtain or grow native milkweeds, (2) gardeners who have small growing areas, such as balconies, and (3) gardeners who are willing to cut back the plant -- despite beautiful flowers and butterfly traffic -- when summer is over. I hope this information helps. Please feel free to contact us at FBTS if you need to know more about the milkweeds and other butterfly plants in our catalog.